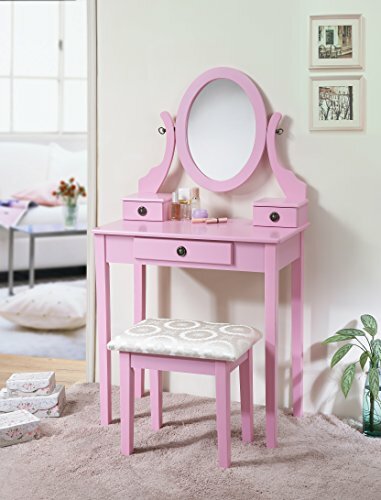 This stylish contemporary Vanity table comes with swivel adjustable mirror and 3 storage drawers. It's great for storing your jewelry and smooth tabletop provides space for cosmetics and beauty supplies. It also includes a matching wooden stool with padded upholstered seat. This is sure to accent your bedroom.